Are you working on Instagram engagement? As more and more people flock to Instagram, more and more brands are focusing their influencer marketing campaigns on the visual candy platform. That means that bloggers and social media influencers need to pump up their insta-game. Find your USP to stand out from the crowd on Instagram. This could be funny captions, eye-catching photography or useful content. Consider your target audience when producing this content and use a wide variety of hashtags to maximise reach. Get engagement by engaging. Seek out your audience and engage with them: follow them, comment on their stuff, build relationships with them. Whenever you post something, go to everybody who’s liked/commented on the post and engage with them. Every Friday the @Instagram account posts a call to action for their weekend hashtag project that asks the community to share a photo taken under a specific theme. Do you best to generate the most unique and inspirational post and participate in each one of these. The comments here are as important as the image so make sure you be authentic, original and give it some heart. Tag your post with #WHP so others participating see your post and also engage with others who participated. You will get a lot of engagement just by doing this and there is a possibility of Instagram noticing your post and featuring your account. This happened to our blog account and gave us a great boost of followers. Tackle one task at a time. In the world of blogging and social media, there is so much you can be doing that it easily gets overwhelming. Focus on building one aspect of your blog each month, and over time it will all come together. Ask thoughtful questions. When someone comments, return the favor by going to their Instagram, and commenting on their posts. Spend 30 minutes each day commenting on posts of the people you’re following. When your followers sign onto Instagram they’ll see your posts first due to Instagram’s algorithm. Spend time doing research on hashtags. A 5-10 minute Google search on popular hashtags will usually let you know if you’re going in the right direction and using them at their full potential. This can often mean the difference in getting two-digit engagement per post and three-digit engagement per post. You need to understand your audience! How can you be relatable? How can you offer value? Ask yourself when you post: how is this post helpful? You can entertain, motivate, or inform but the focus needs to be on the person you are trying to reach. By being known as a responsive Instagrammer and directing questions to known followers, the probability of engagement will increase significant. Pair this with always positively engaging on your pod’s posts as well and it won’t be as difficult as it sounds. Create several sets of saved hashtags (1-2 for each category of content you’re posting) so you can alternate between them and reach as many different people as possible. Go back and review your Instagram analytics to find any hashtag sets that typically get higher engagement. For posts, use only specifically relevant hashtags and focus on engaging narratives that start discussions. Treat your comments as a community. Don’t neglect your Instagram Stories. If a picture is worth a thousand words, then a Story is priceless! In the ever-evolving world of social media, the attention of your target audience is gold. Instagram Stories are fun and quick. And for many, it’s the perfect amount of content. As a content creator, you want to connect with your audience. Here’s where Stories can bring your blog to life. Share a glimpse into your personal life. Showcase a recent blog article by highlighting a quote. Get to know your audience by posting a poll. The better your Story is, the more people engage and come back for more. For more visibility, use hashtags that have 25,000 to 750,000 posts. Create three or more lists of hashtags that you alternate between posts. Only utilize 25 hashtags per post, to allow people to add a hashtag when they comment. Find other bloggers or Instagrammers whose content you engage with and admire, and emulate their style or focus with your own content. 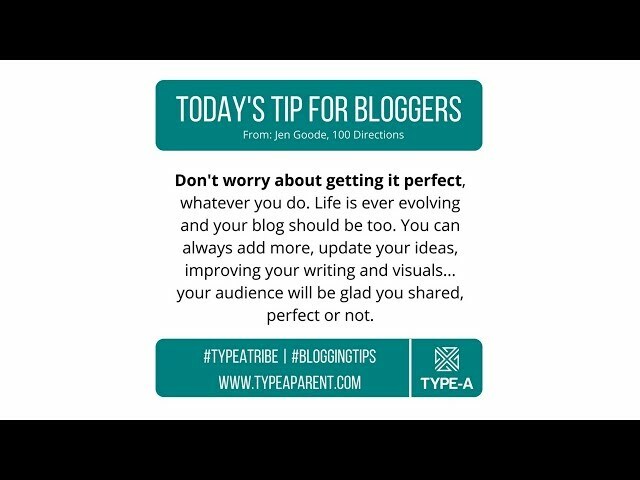 For more tips on Instagram engagement and other social media, traffic driving, and blog management, subscribe to the Type-A YouTube Channel. Rachel Honoway of Type-A tells us about using HARO to get PR for our blogs. 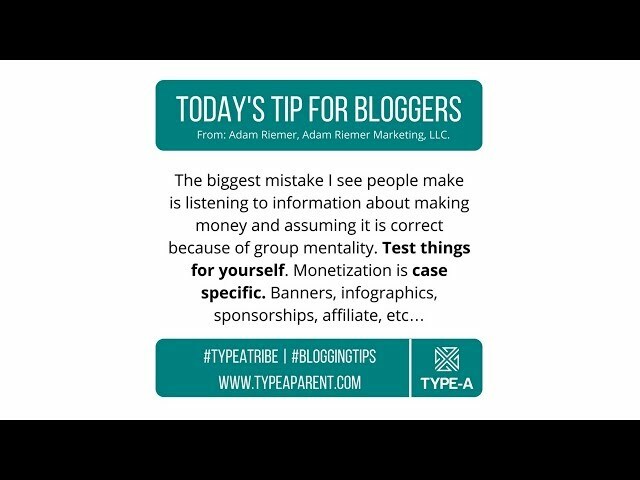 Adam Riemer of Adam Riemer Marketing suggests that we test strategies ourselves instead of just applying everything we hear others talking about. Monetization is site specific, and you need to apply the right strategies and techniques for your unique blog. Jen Goode of 100 Directions reassures us that "perfect" isn't neccessary. Get the content created, trust yourself, and get your works out in front of your readers, work on optimizing and perfecting it little by little later. 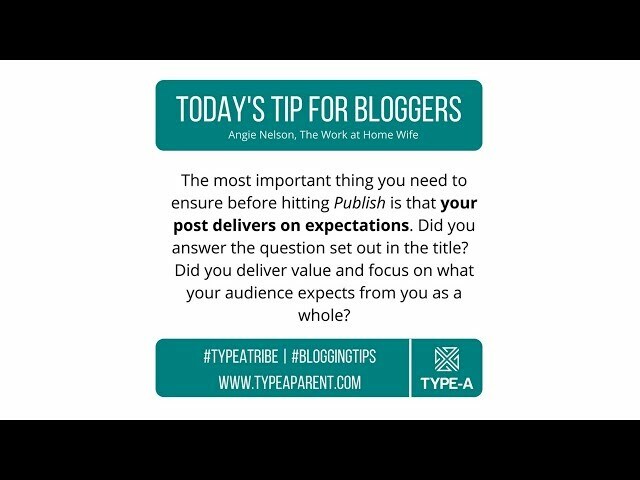 Angiel Nelson, The Work at Home Wife, says that the most important thing is that your post delivers on expectations. Penney Fox of Inner Social Media-ness tells us that Pinterest is a long game. You have to keep pinning with good keywords and hashtags to build your following and traffic. This is a good 15 tips for working on an Instagram engagement. Thanks for compiling the tips.